An old Colonial 3 light electric reproduction in polished brass. Delicate yet makes a statement. 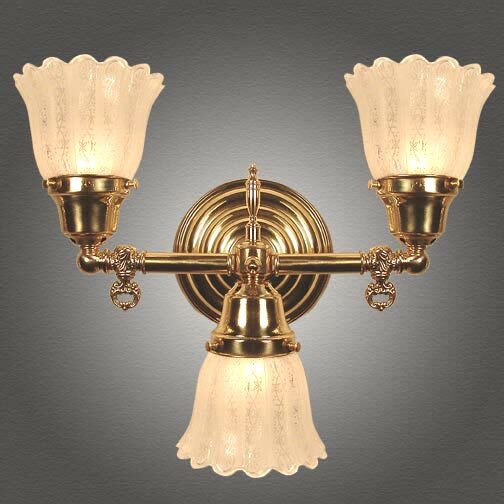 Features solid brass construction and French etched glass shade. Mount it up or mount it down. Width 12 In. / Projection 8 In. / Depth 12 In.